Our October property pick is a great two-bed flat located a stone’s throw from the universities. It’s an awesome contemporary pad for you and a friend, with plenty of space, and newly redecorated bedrooms. What’s not to love?! This property is in a very enviable spot! Leeds University Business School is literally a two-minute walk away, and so the campuses for both main universities are fantastically close. That’s great for you as you can roll out bed and straight into your lectures! It’s especially handy in the winter months when the weather’s cold and you just want to get to uni and get back home ASAP. Just down the street is McColl’s convenience store where you can quickly and easily grab any essentials you need. Central Leeds is less than a 30-minute walk away, but there’s also regular bus services that stop at the top of the road which will take you straight into town if you want to give your legs a break or if you’re planning a big shop! 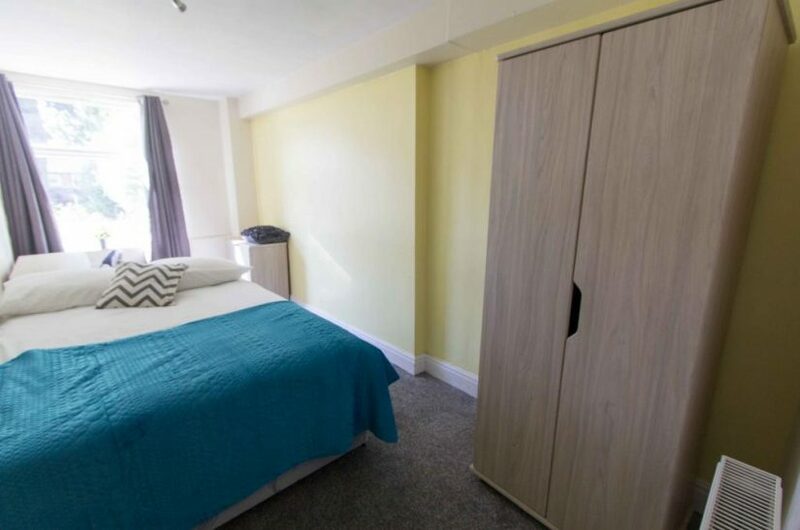 As this property is just on the outskirts of Hyde Park, you’ll be right in the heart of student life, with popular hotspots such as Woodhouse Moor and Hyde Park Picture House within easy reach. 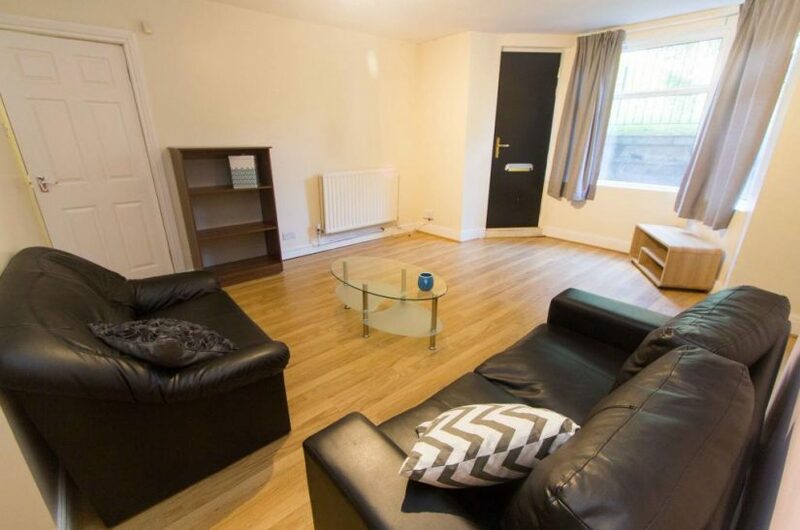 This property is a garden flat that includes a very spacious living room, complete with laminate wood flooring. As mentioned, the two double bedrooms have both undergone a full redecoration, and they’re fully equipped with modern furniture. The Ash finish kitchen comes with a washing machine, a dishwasher, a microwave, and a big fridge freezer (more space for food, yay!). The property is also fully double glazed, so you’ll be all snug and warm when winter comes, and there’s also a lovely communal garden for you to enjoy during the summer months. This flat is definitely an all-rounder! This top-notch pad is available now on a non-inclusive basis for only £118.99pppw – what a snip! As with all the properties in our portfolio, there’s absolutely zero upfront fees, you just need to pay a £300 deposit. A fab property in a location as incredible as this will fly off the shelf, so if you’re interested, don’t hang around! Pop into our office to have a chat with the team or give us a call on 0113 220 0040 for more information and to book a viewing!